How accurate were my 2017 top 40 player of the Year Predictions? Trying to predict the LPGA has become more and more difficult every season. Yet, I never seem to learn my lesson, and I keep putting myself out there at the beginning of every season. There were 22 different winners. There were winners from 8 different countries. Three players won for the very first time. The five major championships were won by 5 different players for the second consecutive year. Once again it was a year that was almost impossible to predict, but I gave it a try. Way back in January, before the season began, I made my predictions of who I thought would be the top 40 players of 2017. I put it out there for the whole world to see, knowing in advance that people would focus on my massive misses (but that's what makes this so much fun) Let's see how I did. 1- Ariya Jutanugarn - She was coming off a five win season and looked like she was going to dominate again in 2017. Although she did win twice, she struggled to make cuts at various points in the season. Her lack of consistency resulted in her finishing #5 on the year's money list. 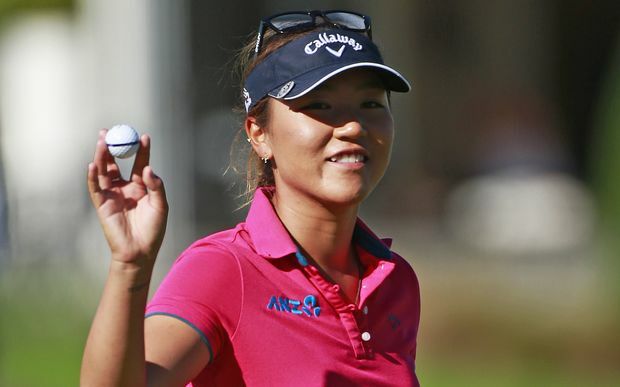 2- Lydia Ko - I didn't give this one much thought. I figured it was a no-brainer. I don't think anyone would have predicted a winless season, but that is exactly what happened. She finished #13 on the year end money list and #17 for Player of the Year. 3- In Gee Chun - How can a player who plays so well week in and week out, have this much trouble finishing on Sunday? She had 8 top five finishes, but did not win. She finished outside the top ten on the money list and for POY honors. 4- Sung Hyun Park (Rookie) - I thought picking a rookie this high was taking a big risk. As it turned out she won the 2017 ML title, and shared player of the year honors. 5- Brooke Henderson - It was another terrific season for this Canadian superstar. A two time winner in 2017, she finished #6 on the ML and #9 for POY. She recently celebrated her 20th birthday, and already is a 5 time winner. 6- Shanshan Feng - A 3 time winner in 2017, Shanshan finished #4 on the ML and #3 in the POY race. She is also the current #1 player in the world. 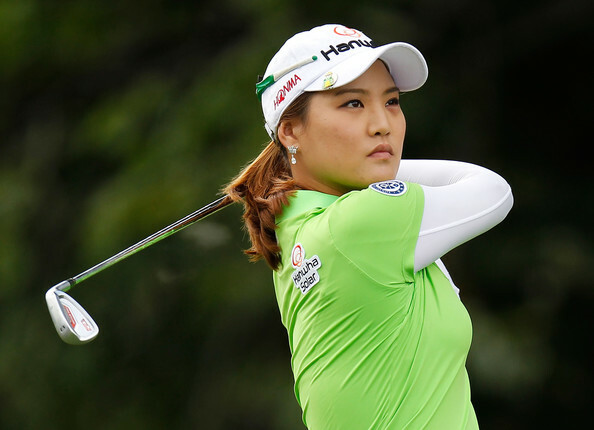 7- Ha Na Jang - She won the second tournament of the season, but left the LPGA. 8- Lexi Thompson - It was a year of - what could have been - for Lexi. In spite of the penalty and the missed clutch putts, she still won twice and finished 3rd on both the ML and POY ranking. If the saying "what doesn't kill you makes you stronger" is true, then Lexi Thompson will have a banner year in 2018. 9- Sei Young Kim - I was on target again here as she finished #10 on the ML and #11 for POY. 10- Carlota Ciganda - Coming off a career year in 2016 when she finished #14, I expected a slight improvement. She fell back some to #24 this year. 11- Charley Hull - She was not able to follow up her solid 2016 season. In fact, she hardly was in contention at all this year, finishing #46 on the money list. 12- Stacy Lewis - I predicted a bounce back year in 2017 for Stacy, and that is exactly what we got as she finished 14th for POY honors. 13- Minjee Lee - Minjee's finishes of 16th on the ML and 15th for POY, made me look good here. 14- Amy Yang - After winning early in the season, Amy had a quiet year, but still finished 18th on the ML and POY rankings. 15- Haru Nomura - Haru also won early, but then she disappeared. She finished in 28th place for POY. 16- So Yeon Ryu - A big miss here. She finished #3 on the money list and tied for Player of the Year honors. So Yeon Ryu had plenty to cheer about in 2017. She won a major championship and tied for Player of the Year. 17- Anna Nordqvist - Anna had one of her finest seasons in 2017. She won twice, and finished #8 on the year end money list. 18- Brittany Lang - Brittany won the U.S. Open in 2016 and finished #9 for POY. I figured a drop this year, but not a drop this big. She dropped all the way down to #69 on the money list. 19- Suzann Pettersen - It seems Suzann can no longer play through a season in good health. Nagging back issues have prevented her from being the kind of player she was for so many years. She finished 37th on the ML and POY rankings. 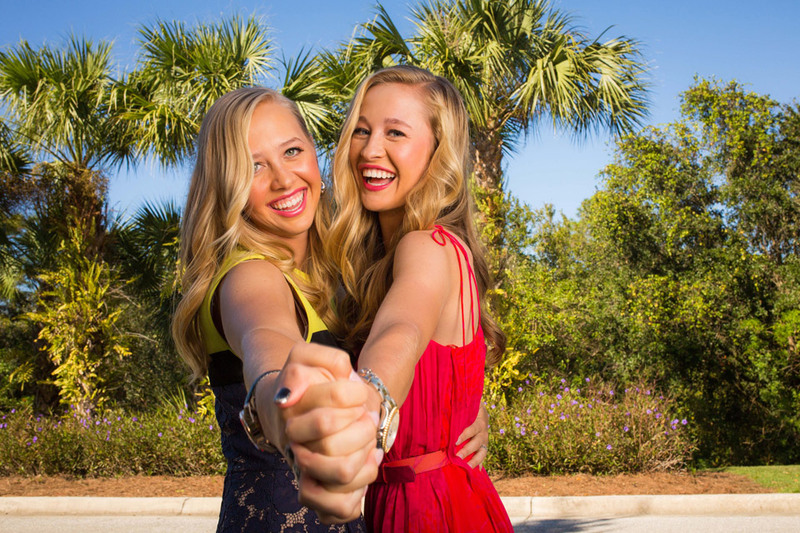 20- Jessica Korda - It was another winless season for Jessica in 2017. Although I was certainly on target with her 26th place year end finish, I have to wonder if she will even be the best Korda in 2018. Which Korda will have the better season in 2018? 21- Mirim Lee - I certainly did well on this one. Mirim finished exactly on the spot I predicted. 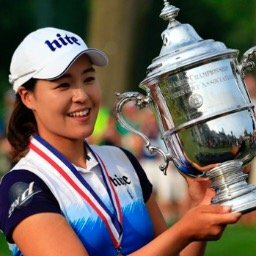 22- Hyo Joo Kim - Hyo Joo took 2 steps backward in 2017, finishing the year at #38 on ML and #46 for POY. 23- Gerina Piller - Gerina is still looking for her first career LPGA win. It seems a bit further away after dropping down to #32 on the year's ML. 24- Alison Lee - A big miss here! Ali wasn't even a shell of her former self in 2017. She dropped all the way down to #86. 25- Pornanong Phatlum - Pornanong started the year well, and then she just stopped contending. It was a big fall for her as she finished the year #46. 26- I.K. Kim - I dare any of my readers to tell me they saw this coming! Three wins including a Major Championship? She still only plays about half the tournaments, which makes it difficult to pick her very high. For that reason, in spite of the 3 victories, she still manged to finish no higher than #12 on the ML. 27- Madelene Sagstrom (Rookie) - I can still hear the laughs I received for picking this player this high. I really wasn't that far off as Madedlene finished #39 on the POY rankings. 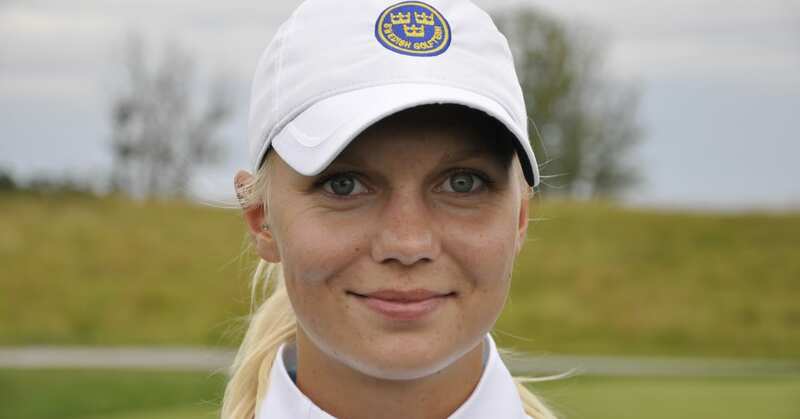 Madelene Sagstrom had a fine rookie season, finishing 39th for Player of the Year. 28- Candie Kung - It was a disappointing year for Candie as she finished way back at #62 for POY. 29- Jodi Ewart Shadoff - Her 31st place finish on the ML, and her 30th place finish for POY, makes me look real good on this one. 30- M.J. Hur - Another solid season for M.J. She finished #22 for POY. 31- Mel Reid (Rookie) - This veteran LET player did not have a very good season in 2017. In fact, she was lucky to keep her playing privileges as she finished #94 on the ML. 32- Mo Martin - Mo had a very strong year in 2016 (finishing #23). I predicted a drop this season, but didn't expect her to fall to #64. 33- Jenny Shin - I did well here as she finished #36. 34- Beth Allen - It hasn't been easy for players coming off the LET. Allen's 110th place finish on the money list will certainly attest to that. 35- Karine Icher - Karine had her best year in 2016 (finishing 28th). I predicted her to drop back some in 2017, and I was correct. She finished up #40 on the ML. 36- Chella Choi - Another solid pick here as she finished #28 on the ML and #34 for POY. 37- Danielle Kang - Danielle finally lived up to the expectations we had for her when she came onto the LPGA tour. She won for the first time in 2017, and made it a Major Championship! Danielle Kang made her first LPGA victory a Major Championship! 38- Su Oh - Su had a mediocre season in 2017, finishing #51. 39- Kim Kaufman - A slight drop off for Kim this year as she dropped from #53 to #58 on the year end money list. 40- Nasa Hatoaka (Rookie) - This is why it is hard to predict rookies. I believed all the hype and made room for her here at the very bottom of my picks. Unfortunately, she had a nightmare of a year. She finished #140 on the money list and had to go back to Q-School to get back her playing privileges. She did well there, actually winning the tournament. She will have another chance in 2018 to show her stuff. There you have it. How did I do? I will let my readers decide. I will be back in a couple of weeks with my top 40 predictions for 2018. I want to thank all my readers for making 2017 a record breaking year. I was extremely happy at the end of 2016 when I announced a 15% increase in readers over 2015. I am even happier this year to announce a 37% increase when compared to 2016. I want to wish everyone a very Happy Holiday Season, and a let's make 2018 the greatest year ever! I will be back in a few days with more LPGA news. There were nine multiple winners on the LPGA tour in 2017. How many can you name?